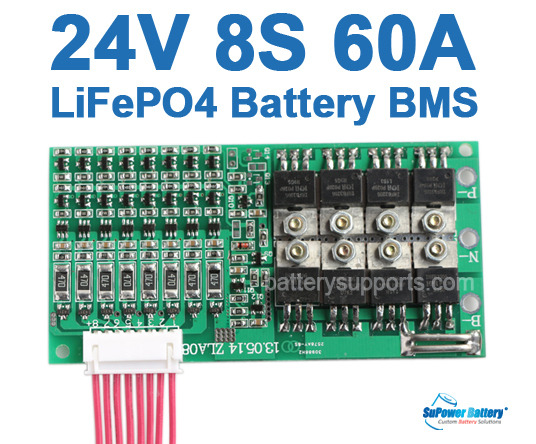 7S 60A Li-ion / LiPO Battery protection board. Short-circuit protection function: disconnect the load from the recovery. 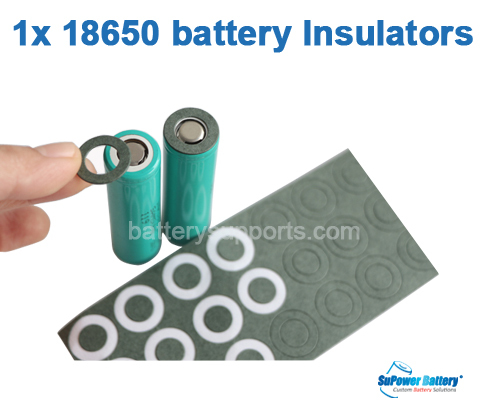 The main functions: Over-charged, Over-discharged protection, short circuit protection, over-current protection, with Balancing function. The board have balancing function. 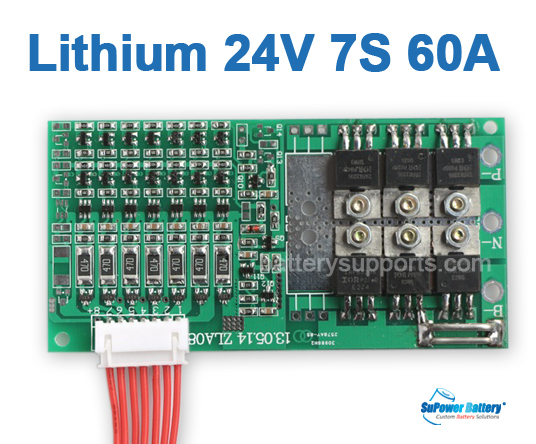 So you may see a balance connector with 7 wires, below chart shows how to connect the wires onto 7 batteries to realize balancing and protection. 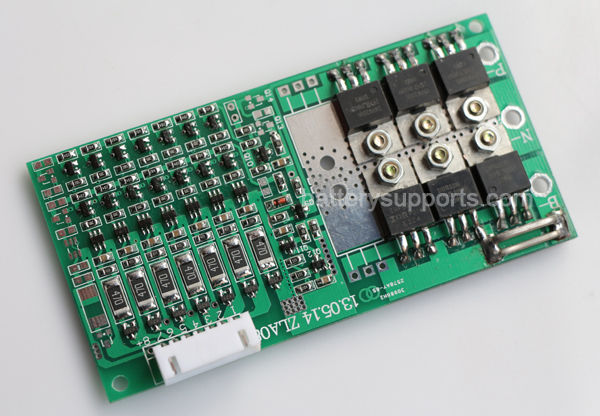 1, The charging port and the discharge port of the board are the same Positive port. 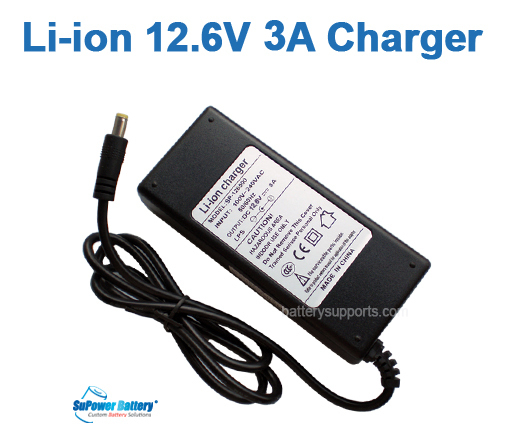 “B-“ for negative Pole of the battery pack, “P-“ is negative pole for both discharging and charging. 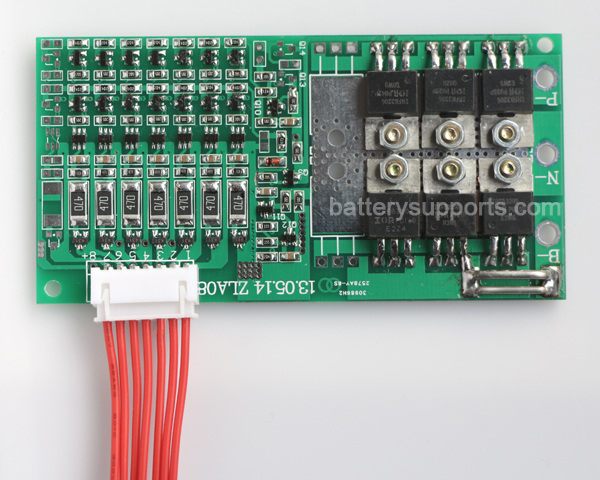 3, First connect the “P-“ , “B-“ to the battery pack, then re-check with the battery voltages, then connect the 7 wires onto the batteries, Do not connect in wrong ordering, or it will burn out the board. If you made wrong connection and reverse the board that will cause smoke, please check with every wire to be sure you are doing correct connection. Check every voltage on the wire step by step before plug in the connector. Check every wire and see if the orderly are correct. Because if any of the wire get a wrong order, it will get burnt. Smoke shows board already get burnt for protecting the battery being damaged by wrong connection, For DIY assembling. Please make sure you are capable to do the assembling before ordering! If you dont know how to do the connection, DONT ORDER IT! The BMS only use for new and consistent high drain batteries. 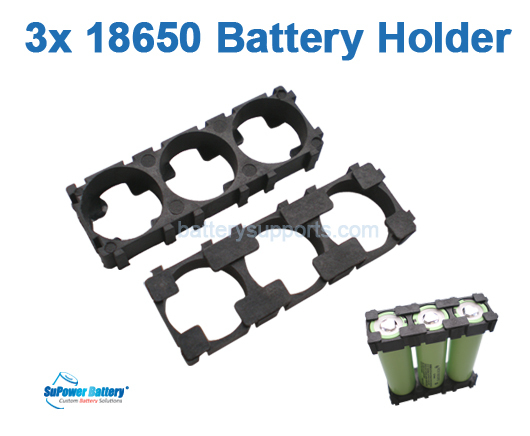 Do not use for battery packs that mix with new & half-used, or mix with different brand battery cells. Do not use for used and imbalance battery cells. Do not use for batteries with fake capacity. Do not touch the board by hand while it is charging / discharging. 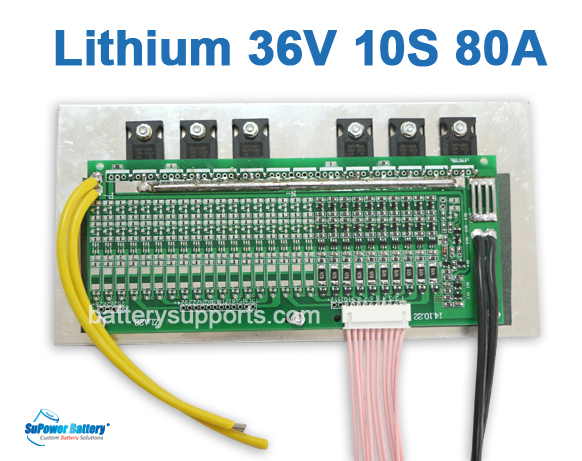 If you charge the battery by Lithium Balance Charger, then there's no need to use BMS. 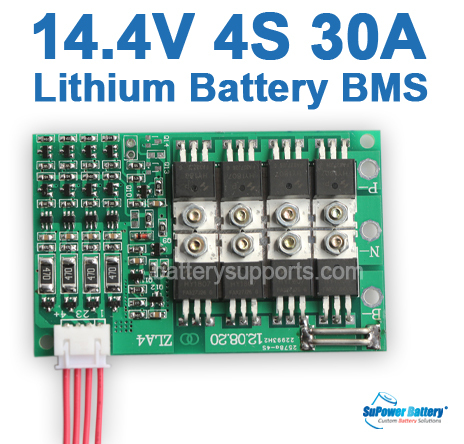 Battery not including, the auction is for BMS only. Balance Connector will send together with the BMS. Please share your views on commodities. Items will be shipped out in 24-48 hours (excluding weekend or holidays). Some countries may take over 30 days to deliver, you may refer to " F.A.Q" page, " Shipping & Delivery" for further info. We also offer optional UPS / TNT / Fedex Express service with higher freight cost but fast delivery. with low cost but shipment would be very slow. All the shipments will have a tracking number to trace with. If you do not receive the package over 50 days, please contact us, we will check with the shipping status for you. responsible to pay the import tax. BatterySupports.com takes precautions to protect your Personal information. When you submit sensitive information via the website, your information is protected both online and offline. The policy of allowing access to this Personal Information is only to our staffs with a need to process your order. We also use available technology and encryption, when legally required or when appropriate for your protection, to provide a more secure environment and to reduce the chance of unauthorized access. Personal Information is stored in a secure environment protected by a combination of physical and technical measures. We will not sell, share, or rent this information to any outside parties.